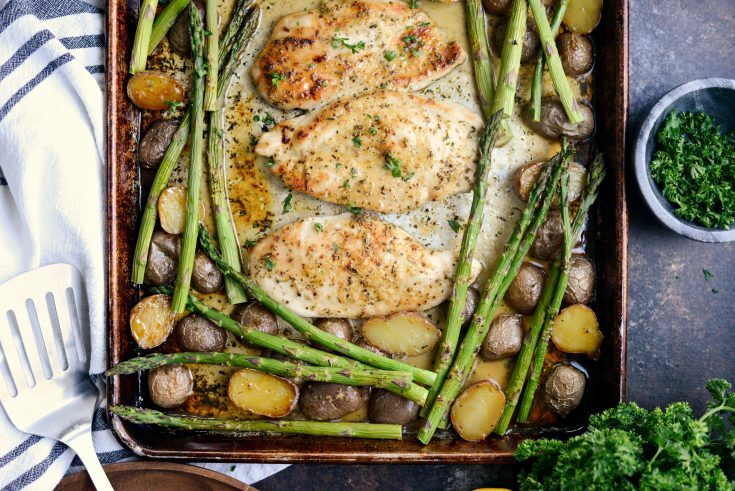 This scrumptious Honey Dijon Chicken Sheet Pan Dinner is everything you want and love, baked on one pan and in your oven. 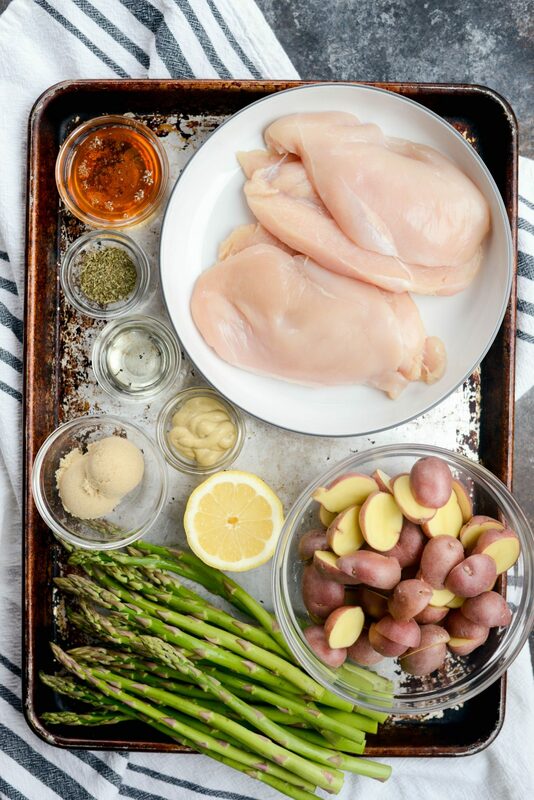 A simple yet flavorful glaze of butter, lemon, dijon mustard, honey and garlic glazes the chicken, crispy potatoes and tender asparagus. Serves 4 in about 45 minutes. April and May have always been our busiest months because the end of the school year is approaching and we are in full on softball mode. Haileigh decided not to play for her high school team this year so it’s only Mal, and right now, her middle school team is playing so well and is 6-2 for the season! With that said, between practices and games, orthodontist appointments and everything in-between, it’s safe to say we have something going on 6 out of the 7 days a week. This time of year I’m struggling with finding the balance of work, writing and family obligations. Most days I don’t actually get the luxury of sitting down until 8pm and by then I’m wiped completely out. 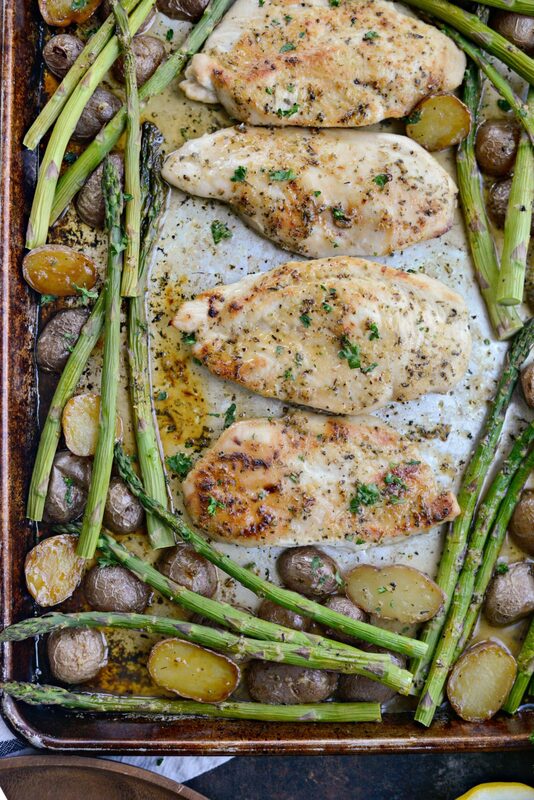 Because of this, I am officially onboard the sheet pan dinner wagon. Can I get a hallelujah?! Before the softball season started, I began working on a few recipes calling for simple ingredients and one sheet pan. And thank the lord for that! 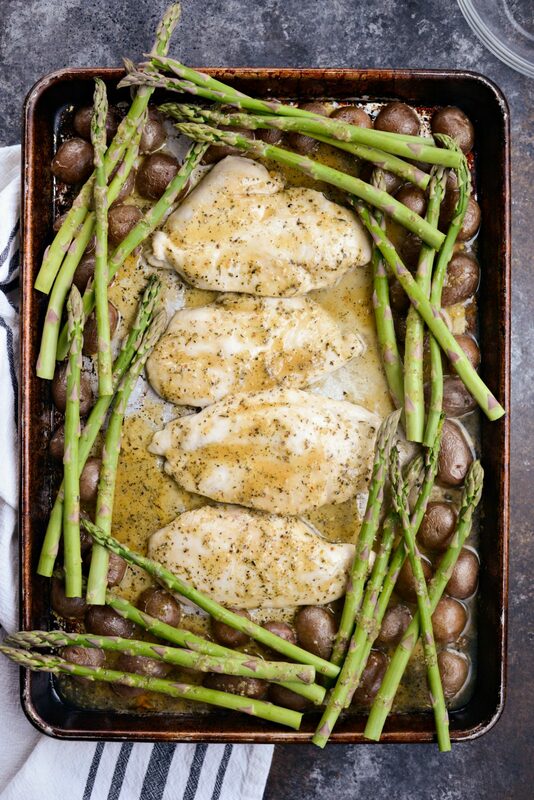 This honey dijon chicken sheet pan dinner was my first sheet pan dinner and everyone (yes, even Malloree with her dislike of all green vegetables) loved this dinner. She even ate the asparagus!!! I mean, who wouldn’t love a stress-free meal of roasted potatoes, glazed chicken breasts and crisp yet tender asparagus?? Dinner in 45 minutes, from start to finish, is my kind of recipe. 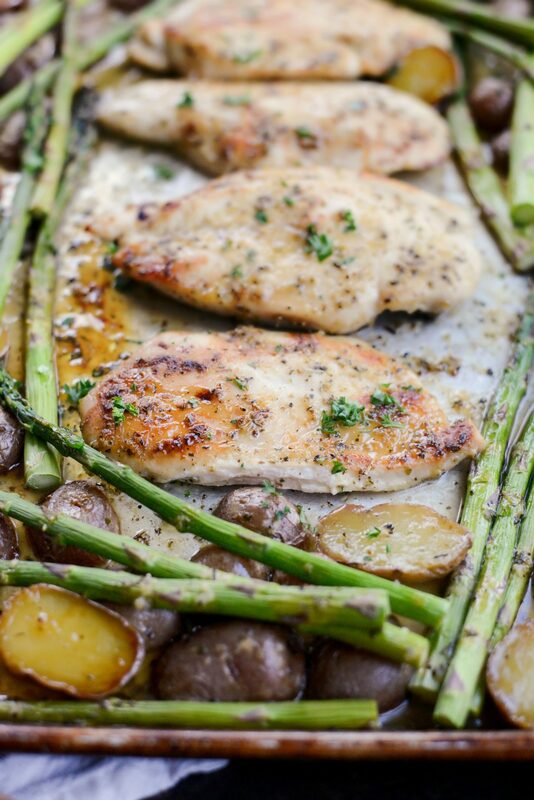 Here’s what you’ll need: potatoes, olive oil, s & p, chicken breasts and asparagus. Butter, lemon juice, brown sugar, honey, garlic and Italian seasoning. That’s it! Next toss 1 pound of baby potatoes with 1-1/2 tablespoons light olive oil, a pinch of kosher salt and a few turns of freshly ground black pepper. Make sure the olive oil coats the entire bottom of the pan, so when you eventually add the chicken, they won’t have an opportunity to stick. 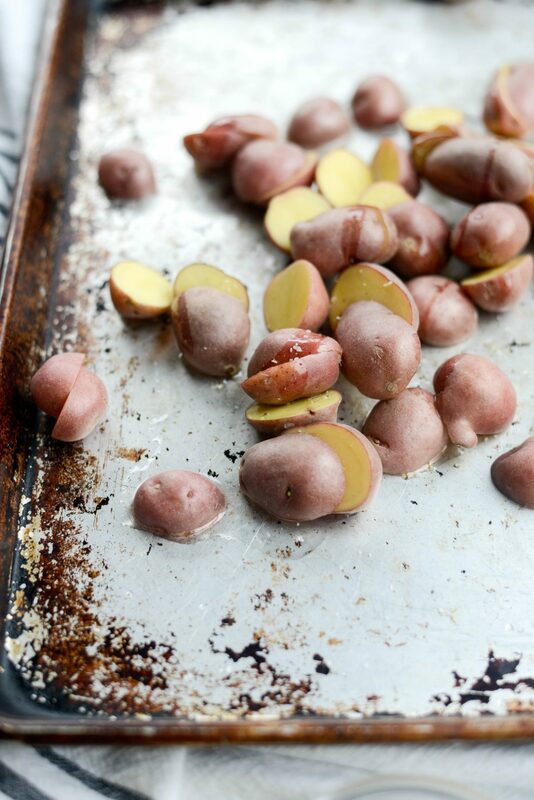 Arrange the potatoes, cut-side down, around the perimeter of a rimmed metal baking sheet. Slide the pan into your preheated 400° oven for 10 minutes. 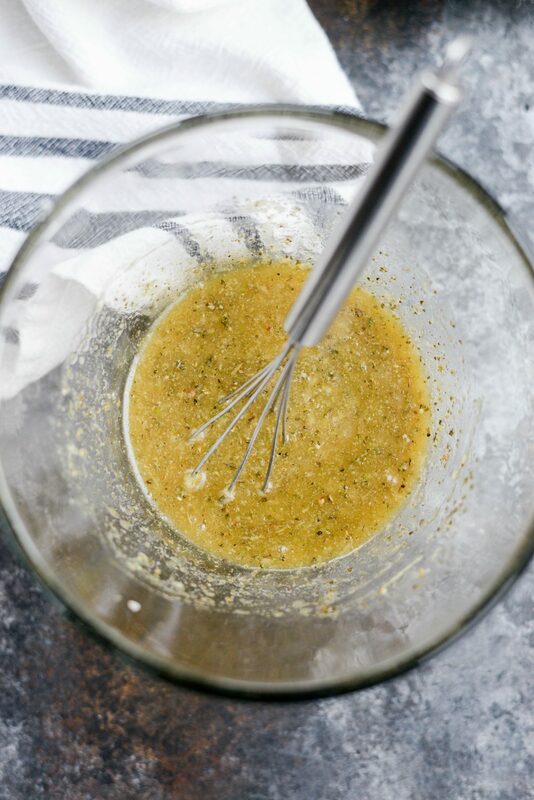 Meanwhile, in a small bowl, whisk together 2 tablespoons melted butter, the juice of 1/2 a lemon, 2 tablespoons light brown sugar, 2 tablespoons honey, 1 tablespoon dijon mustard, 4 cloves of grated fresh garlic, 1 teaspoon Italian seasoning and a pinch of salt and pepper. After the 10 minutes are up, place the chicken breasts into the center of the pan . Whisk the sauce once more before coating the chicken with 1/2 of the honey dijon glaze. Then slide the pan on the middle rack of your preheated 400° oven and bake for 10 minutes. 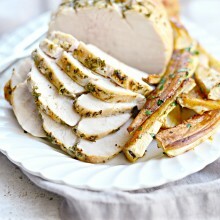 Then remove the pan and arrange the trimmed asparagus around the chicken and on top of the potatoes. Drizzle the remaining glaze over top of the chicken and vegetables. Bake for 8 to 10 minutes or until the chicken is fully cooked. Using oven mitts, remove the sheet pan and move the oven rack to the highest position in your oven. Turn on your broiler and slide the pan underneath the broiler. Broil for 2 minutes or so, until the glaze on the chicken caramelizes and browns. Watch carefully to avoid burning. 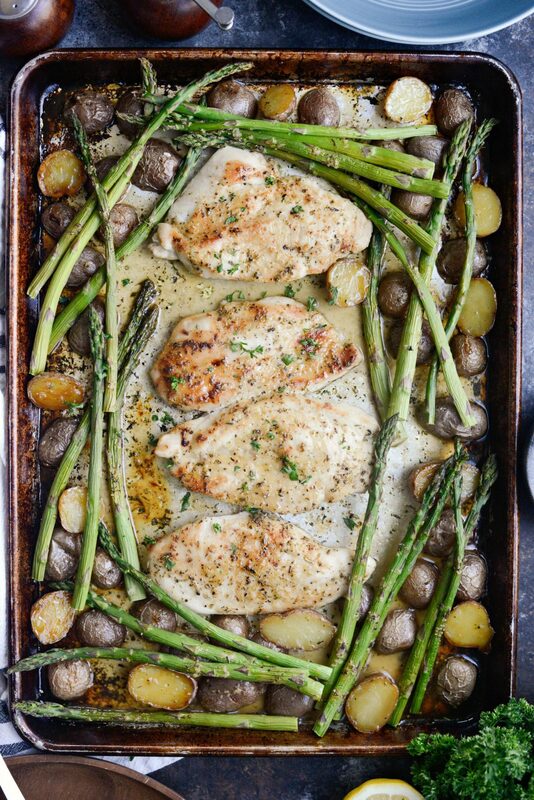 Remove the honey dijon chicken sheet pan dinner and allow it to rest for 5 minutes so the potatoes have a chance to release from the pan and also because the chicken needs time to rest and redistribute its juices, before serving. Lastly garnish with a little minced fresh parsley for a pop of green color and freshness. 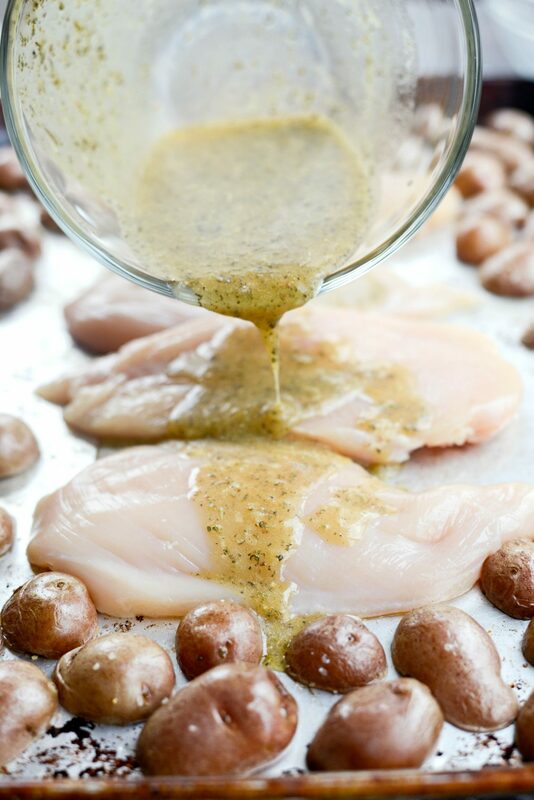 Sweet and savory, easy and nearly effortless, I have a feeling that this honey dijon chicken sheet pan dinner will be a beloved addition into your dinner rotation. Look for more one-pan dinners here. Enjoy! 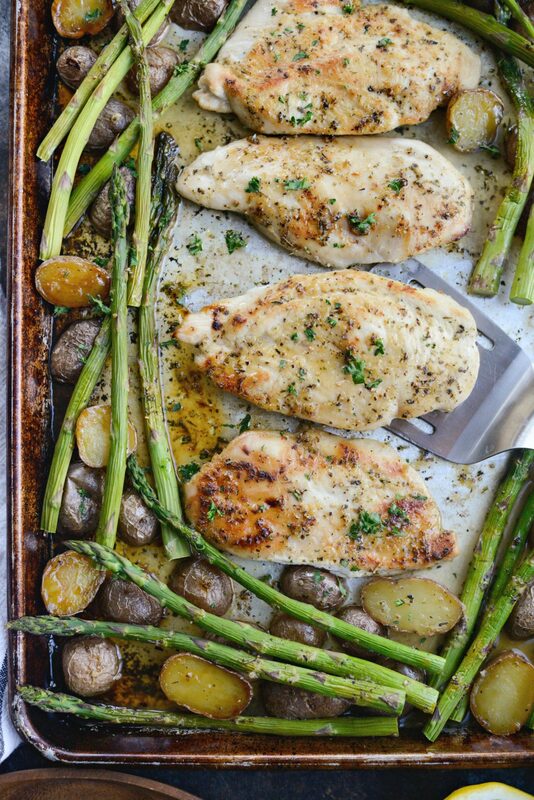 And if you give this Honey Dijon Chicken Sheet Pan Dinner recipe a try, let me know! Snap a photo and tag me on twitter or instagram! 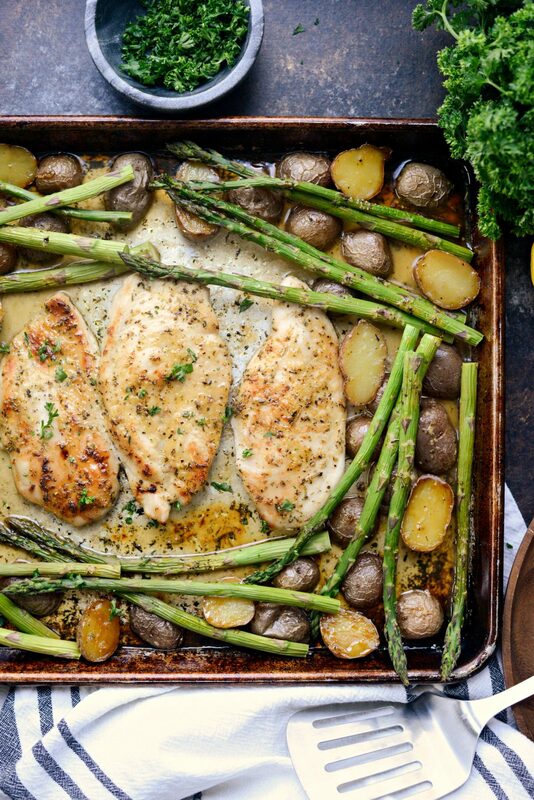 This scrumptious Honey Dijon Garlic Chicken Sheet Pan Dinner is everything you want and love, baked on one pan and in your oven. A simple yet flavorful glaze of butter, lemon, dijon mustard, honey and garlic glazes the chicken, crispy potatoes and tender asparagus. Serves 4 in about 45 minutes. 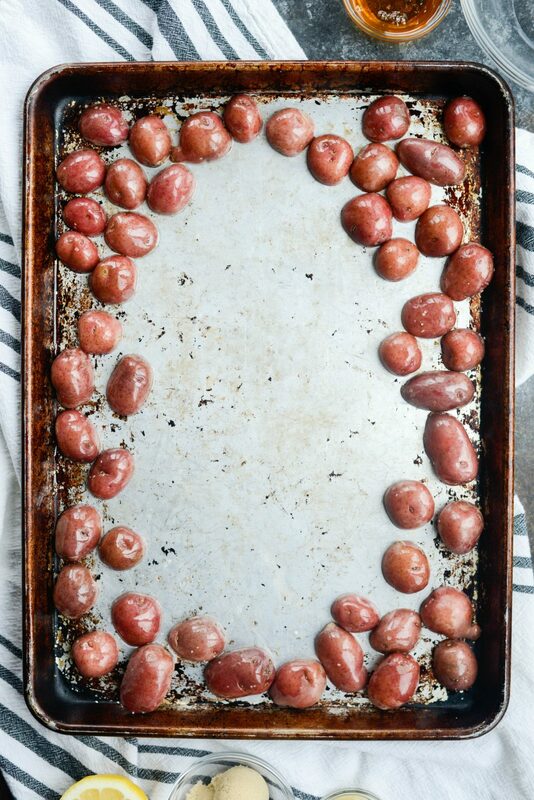 Place the potatoes onto your rimmed metal baking sheet. Drizzle with olive oil and season with a pinch of kosher salt and a couple turns of freshly ground black pepper. Toss and scoot the potatoes to the perimeter of the pan, placing them cut-side down and then bake on the middle rack of your preheated oven for 10 minutes. Meanwhile whisk together the glaze. After the 10 minutes, place the chicken breast halves in the center of the baking sheet. 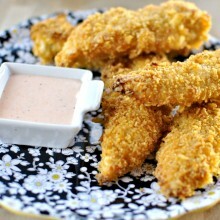 Coat the tops of the chicken with half of the honey dijon glaze and bake for 10 minutes. 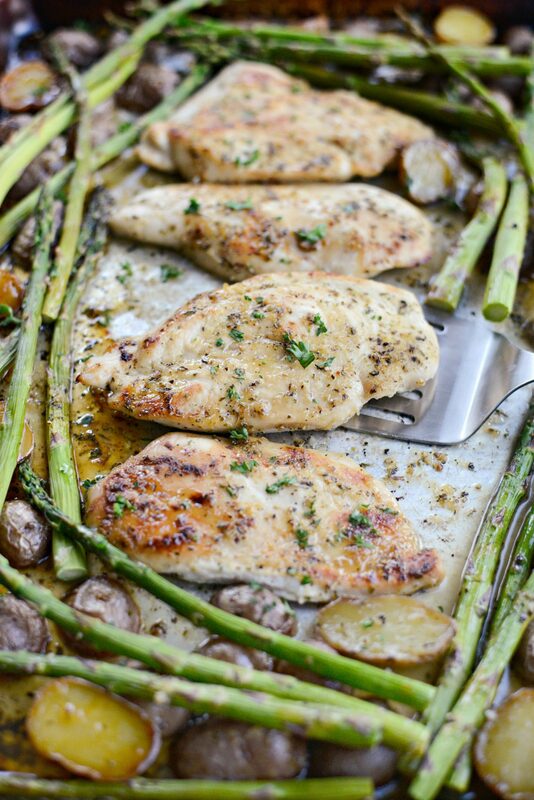 Remove and add the asparagus to the sheet pan and drizzle the remaining glaze over top of the chicken and vegetables. Bake for an additional 10 minutes. Using oven mitts, remove the pan and move your oven rack to the top position, flip on the broiler and slide the sheet pan underneath the heating element. Broil for 2 minutes or until the glaze caramelizes. Keep a close eye on this to avoid burning. Allow the chicken to rest for 5 minutes before serving with a little minced fresh parsley. 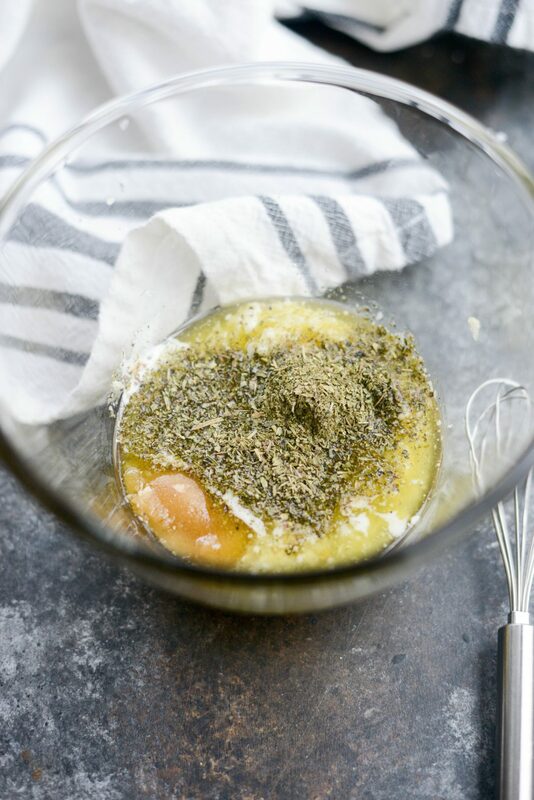 ** You can find my recipe for homemade Italian Seasoning in my cookbook. Laurie – this looks delish! I want to make it tonight, but everyone does not like asparagus. Can you suggest another vegetable that would work and if I should adjust the cooking time when I substitute. Thanks so much! Hi Coco! You could do fresh green beans for about the same cook time or broccoli florets and add them 6 to 8 minutes after the chicken has been cooking. I haven’t tested these out, so these are just assumptions. But I think either will work just fine. Enjoy! And fish for chicken, as I am trying to switch to a Mediterranean kind of diet:)) If I decide to be brave and try fish for chicken (thinking cod) I will let you know how it turns out! Thanks for another wonderful looking recipe Laurie. Going to try this (or a variation thereof) tonight. I think so! I would just adjust the cooking times. Roast the potatoes for 20 minutes, then add the fish (depending on thickness it could take 10-12-ish minutes) and asparagus. Please keep me posted! Made it last week and it was an absolute hit with everyone including the picky 4 year old! Added an onion and doubled recipe to have left overs. Repurposed left over chicken and potatoes into a curried chicken salad. Delicious and easy. Thank you! Brilliant! I’m so glad you enjoyed it! This looks so yummy! 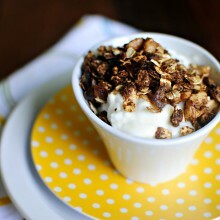 Can’t wait to try as I love all of your recipes on the blog and in your cookbook. Question – Do you use light olive oil due to taste or is there a specific reason to cook/roast with light vs extra virgin? Thanks! Hi Dawn! Sorry for the delay, I always have light olive oil on hand for that (taste) and because it’s best for recipes that call for high/hot cooking temperatures.